Economic Survey 2014-15 has laid down a road map for reforms in public sector banks (PSBs), which includes, among other things, the “exit” of non-performers. Backing the government’s recent move to capitalise banks based on their efficiency, the survey argued for doing away with a one-size-fits-all approach for PSBs. As of now, all state-run banks are treated on a par, regardless of their size, in all areas, ranging from the appointment process, compensation policies and distribution of capital to employee performance. “Differentiation will allow a full menu of options such as selective recapitalisation, diluted government ownership, and exit,” the Survey said. While it didn’t elaborate on the exit option, the PJ Nayak committee, appointed by the central bank to look into governance issues in PSBs, had recommended the government give up its control in these banks and reduce its stake in these to less than 51 per cent.. So far, the government’s stated position is to reduce stake up to 52 per cent. In some banks, the government’s shareholding is as high as 80 per cent. The survey has suggested reforms in four areas, christened 4 Ds — deregulate, differentiate, diversify and disinter. To address the asset side repression in the banking system, deregulation in terms of lowering the minimum requirement for statutory liquidity ratio (SLR) was suggested. SLR is the proportion of net demand and time liabilities a bank needs to invest in government papers. The observation is in line with what the Reserve Bank of India (RBI) has suggested, as this will release funds for banks; these funds could be deployed in productive sectors. However, for such a move, the government has to stick to fiscal discipline, as SLR has become a means of financing a bulk of the fiscal deficit. The survey said while the minimum SLR a bank should hold was stipulated at 21.5 per cent, in reality, they held more than 25 per cent. Another area of deregulation was revisiting priority sector norms, which had to be redefined to make the sector more targeted, smaller and need-driven, the survey said. Highlighting the need for a diversified banking sector, the survey said the country needed more and different banks. The banking regulator has already taken steps in this direction, agreeing to offer niche bank licences. The fourth D (disinter) refers to a robust recovery mechanism and a bankruptcy law. RBI has emphasised the need for a bankruptcy code in the country to tackle the problem of wilful defaulters. Delay in loan recovery is one of the reasons behind the pile-up of stressed assets in the banking system. 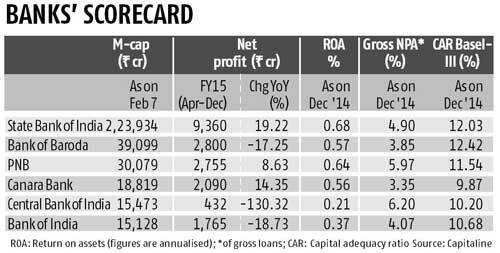 Currently, such assets account for about 10 per cent of the total loans given by banks, impacting their profitability. As the survey notes, “distressed assets hang like the Sword of Damocles over the economy and require a creative solution”. “When the next boom and bust comes around, India needs to be better prepared to distribute pain between promoters, creditors, consumers, and taxpayers. Being prepared for the clean-up is as important as being prudent in the run-up,” the survey said. 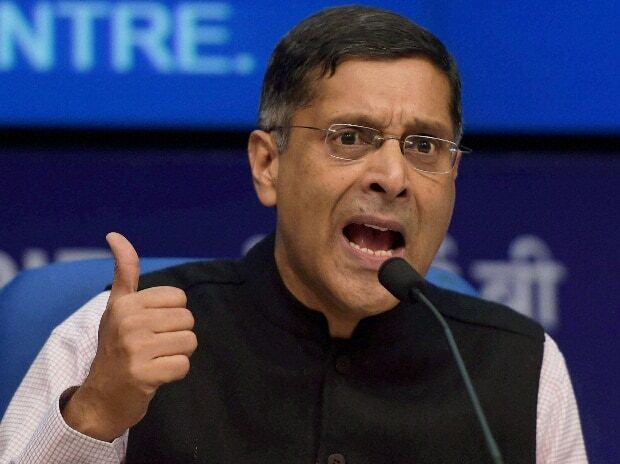 Economic Survey 2014-15 criticised private banks, saying these entities had been growing slowly. The survey said aggregate growth in the share of the private sector in the overall banking segment “barely increased” at a time when other sectors in India saw a rapid rise of private players. It also raised concern over the lack of adequate competition in the sector. Though competition had picked up and private banks had seen steady growth during 1990-2007, after 2007, growth of private banks had been slow, the survey said. “India saw a steady rise in the size of private banks till 2007, both in relation to deposit and lending indicators. Thereafter, the process slowed considerably and in the aftermath of the Lehman crisis, there was a flight to safety toward public sector banks,” it added. Faster growth in this segment was necessary, as the banking sector had a big role to play, considering bank credit was a small part of overall credit needs, the survey said.